I have been quiet for some time because things have been hectic, but it’s now time to catch up and report some news. I am currently in Paris, where today at 6pm local time Life off Grid will have its official world premiere. The venue is Cine 13 in Montmartre, for the 2nd annual edition of the Ethnografilm Film Festival. It’s a lovely venue and I hope to post some photos tomorrow. The fashion conscious amongst you might have spotted our presence on the website of none other than Urban Outfitters. It’s not that the world of fashion finally started noticing my style, but rather the case of their chief blogger taking interest in our fieldwork. 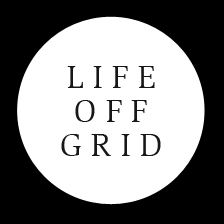 Over the last three weeks I have also talked about the making of Life off Grid and the writing of Off the Grid at Goldsmiths University in London and at the University of Edinburgh. There are also a couple of new screenings about to be finalized, and I hope to be able to have that information very soon.